Nakamuraya at Shinjuku, originally uploaded by Camemberu. The Japanese have taken curry and made it their own dish. 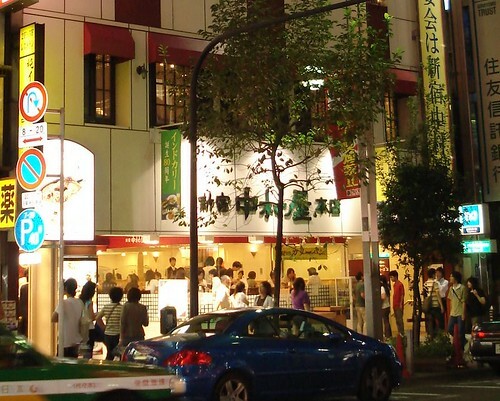 I read about Nakamuraya being quite an institution in Shinjuku. They take up almost an entire building of several floors, each with a unique specialty ranging from Indian to Italian. 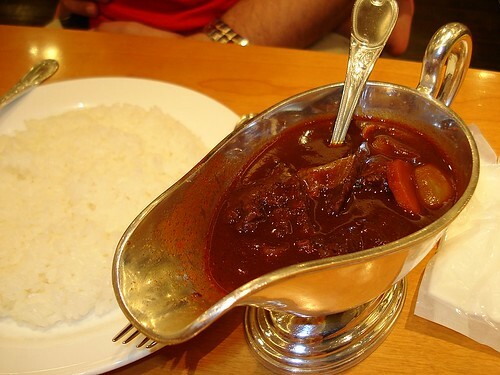 Indian curry at Repas, Nakamuraya in Shinjuku, originally uploaded by Camemberu. 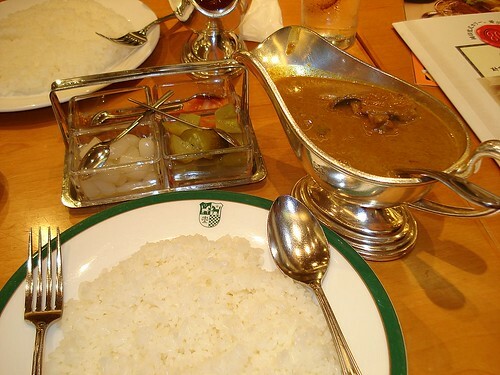 The "Indo-Kare" or Indian Curry (¥1,470) is the flagship dish served at Repas on the second floor. It's rich, deeply spiced but not overpowering. And interestingly, it has a strong heat that's not immediately apparent but emerges after a few mouthfuls. Wonderful curry served with pickles and chutney. However, I found the sticky Japanese short-grain rice not as appropriate as basmati rice for this dish. Wagyu Hayashi Rice at Repas, originally uploaded by Camemberu. Repas at Nakamuraya also serves European style stews. We went for a Wagyu Hayashi Rice (¥1,785) - beef, mushrooms, carrots and onions in a thick, demi-glace sauce. Nice and robust too, although we both preferred the curry.